How to Deal With iCloud Calendar Spam– iMobie Inc. Looking for ways to deal with these annoying iCloud calendar spams? Read this tutorial to get two useful methods to deal with calendar spam. Download AnyTrans to your Mac or Windows computer to get ready for managing your lost data on iOS 10.2/10/9/8 devices. Q: My iCloud calendar is receiving spam ads and invitations for online stores or holiday discount. How did this happen and how can I stop it from showing again? It's really annoying to receive spam calendars invitations on iPhone or iPad like this user. In addition, declining these events directly will make the situation worse, for the spammers would send you more spams if they notice that your account is active. According to Apple's official statement on the matter, they're actively working to address this issue. Until they work it out, iCloud calendar spam will continue showing up. So let's take some actions to filter these calendar spams. Dealing with these calendar spams is necessary and you can report a spam invitation as junk if the sender is not one of your contacts or create a spam calendar on iPhone to fix this issue. Apple allows reporting a calendar spam received from someone that's not your contact as junk, which means removing it from your calendar without responding it directly. Step 1. Navigate to iCloud.com on your computer and log in with your Apple ID and password. Step 2. Click Calendar and then double-click the spam event invitation. Step 3. Select Report Junk and choose OK option. If unluckily you've received a great many calendar spam invitations, it's may be a good option to create a "Spam" calendar in the Calendar app and move the spam invitations to it. Then you can delete the "Spam" calendar and these spam invitations as well. Step 1. Run Calendar app on your iPhone and tap Calendars at the bottom. Step 2. Tap Edit > tap on Add Calendar under iCloud and name it "Spam". Step 3. Choose Done > Back > spammed invitation > tap Calendar. Step 4. Tap Spam to move the spam invitation to new "Spam" calendar. Then you can tap Back to go back to the calendar view. If you want to manage your iOS data in a more reliable way, AnyTrans is definitely a good helper. 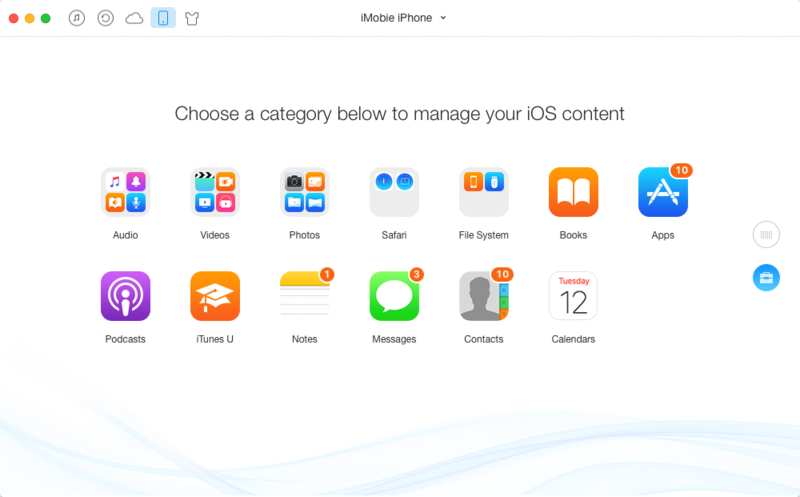 It supports transferring up to 28 types of iOS data between iDevices without removing any original data on devices. You can make your iOS data managemnet easy and convenient with AnyTrans.